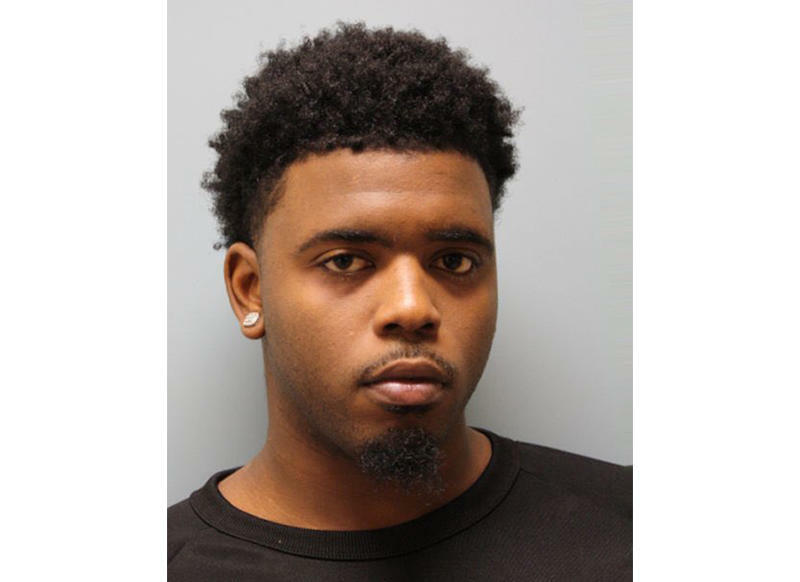 Larry D. Woodruffe, 24, is one of two men charged with capital murder in the Dec. 30 killing of Jazmine Barnes, who was in a car with her mother and three sisters when someone in another vehicle opened fire on them, killing Jazmine. 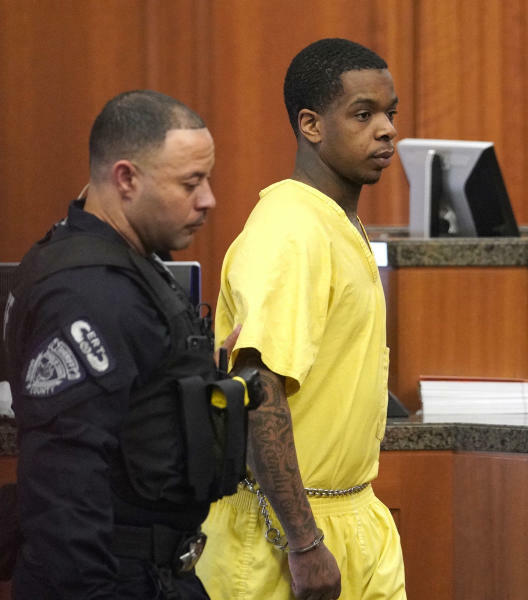 The girl's family, who are black, told investigators that the shooter was white and in a red pickup truck, but a tip eventually led to the arrests of Woodruffe and another black man, 20-year-old Eric Black Jr. Prosecutors allege that Woodruffe fired the shots from an SUV that Black was driving. After a court appearance Thursday by Woodruffe, his court-appointed lawyer, Lisa Andrews, told reporters that Woodruffe claims he wasn't in the SUV and wasn't involved in the attack in any way. She suggested that Black might have implicated Woodruffe as the shooter to get himself "out of hot water" and pointed out that the gun that was allegedly used in the attack was found at Black's home, not her client's. Black's attorney, Alvin Nunnery, didn't immediately return a phone call Thursday seeking comment. Prosecutors say Black and Woodruffe thought they were attacking people whom they had fought with at a club hours before Jazmine's death. Authorities suspect both men, who remain jailed, are gang members. Andrews declined to say if Woodruffe belonged to a gang. Court records show that Woodruffe has a long criminal record, including arrests for assault on a family member and drug possession. 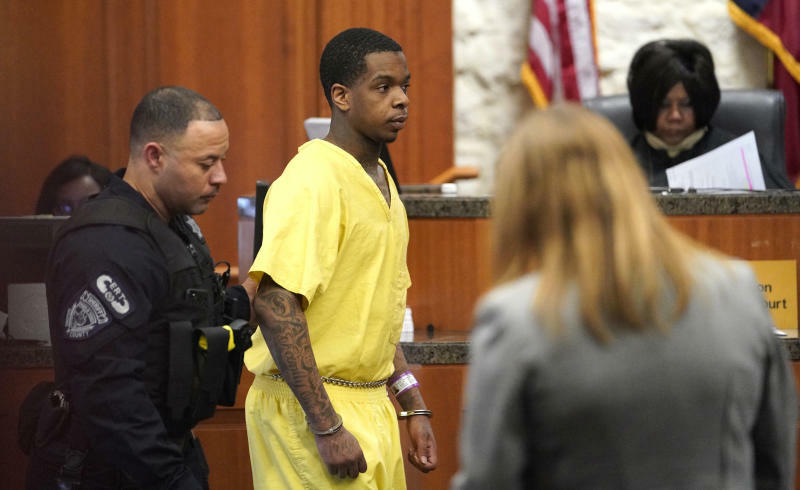 Andrews said she filed a motion to have Woodruffe's trial moved out of Houston, saying the extensive pretrial publicity and social media posts and comments that investigators and others have made could prevent him from getting a fair trial in the city. She also filed a motion asking Harmon to remind the Harris County District Attorney's Office of its duty to ensure that law enforcement officials don't make any biased or inflammatory statements regarding Woodruffe. For example, Andrews pointed to Harris County Sheriff Ed Gonzalez's decision to speak at Jazmine's funeral on Tuesday. "While that's a heartwarming gesture and I take nothing away, he still is the person in charge of investigating this case. And actions like that don't seem objective or unbiased," she said. Jazmine's killing led to an outpouring of support for her family from celebrities and ordinary people across the country. It also prompted some local officials and even Texas Gov. Greg Abbott to weigh in on the case. On Tuesday, Abbott tweeted that authorities must expand the state's anti-gang task force in Houston to "clean our streets of this trash and restore safety." The head of the Houston Police Officers' Union, Joe Gamaldi, tweeted a photo of Woodruffe and claimed, "This is the Dirtbag that killed #JazmineBarnes." "They need to let the process play out and quit with the incendiary language," Andrews said. Police spokesman Kese Smith said Gamaldi didn't violate any agency policies because his tweet was sent in his capacity as the union president, not his capacity as a Houston police officer. Prosecutor Tom Berg called the motion to change jurisdictions premature, saying he believes Woodruffe will be able to get a fair trial in Harris County, which includes Houston. A trial date hasn't been set. He also said he doesn't think statements from Abbott and other officials have anything to do with the case. "We intend to try this case on the evidence ... and not tweets that were made months earlier by other people unrelated to it," Berg said. In response to Abbott's tweet, both Houston's mayor and police chief suggested Wednesday that the governor could consider redirecting state funds that go toward border security to communities' efforts to combat crime and gangs.